Thank you. The birds were pretty caught up in their strut, ignoring us for the most part. 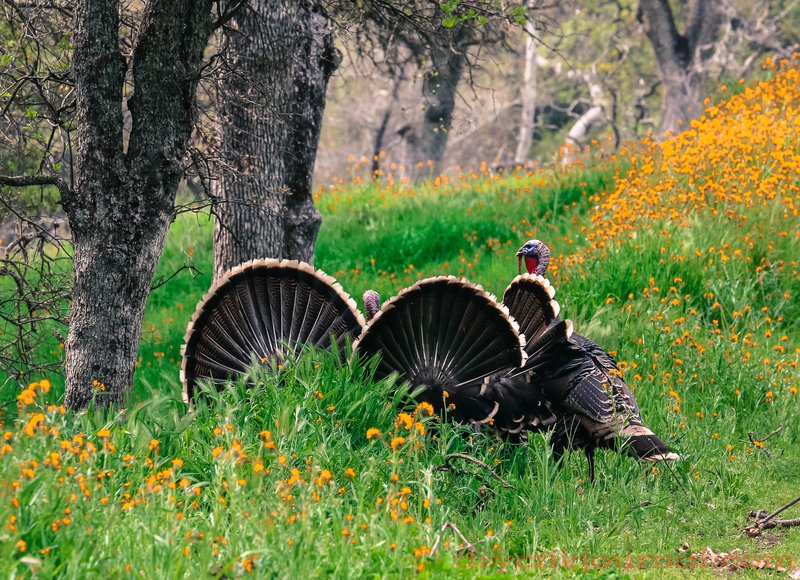 So wonderful to see the whole package in this photo – green grass, beautiful flowers and turkeys.